At EwaBeach Physical Therapy we provide fast acting pain relief solutions for our patients, as well as programs designed specifically to truly heal. Whether you’re struggling with pain, weakness, or injury. We can help! Our highly trained and dedicated staff will work with you to find the program that best suits your condition, and be there every step of the way during your time of rehabilitation and healing. Flexibility in Joints, Manual Therapy and Soft Tissue Mobilization. Ultimate Lower Back Workouts and Optimal Spinal Stabilization. All our solutions are done with hands-on physical therapy, and each patient is given information on how to prevent future injury. 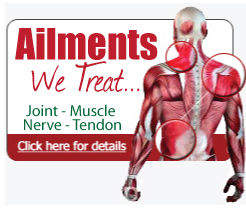 We also offer specialized programs for injury, weakness and pain relief. Post-Op Rehab Program-We are the experts in postoperative orthopedic rehabilitation. Our program is designed to achieve maximum recovery safely and effectively, all according to the restrictions set by your orthopedic surgeon. 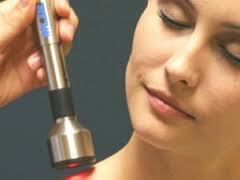 TMJ Pain Relief Program-Many people suffer from Temporomandibular Joint Disorder or TMJ. The pain is located in the lower jaw joint that is located just below the ears on each side of the face. Our program is completely hands-on and will be designed specifically for the pain you are suffering. Being pain free is only one phone call away. Massage Therapy Program-This specialized program offers a variety of solutions that will improve relaxation, stress relief and overall wellness. You will finally experience freedom from pain, restored independence and improved ability to meet your every day physical demands.